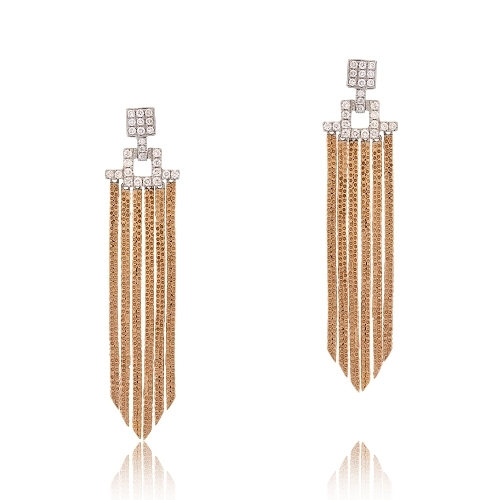 Diamond fringe earrings mounted into 18k rose gold. Diamonds approx. .43ct. Earrings 2"